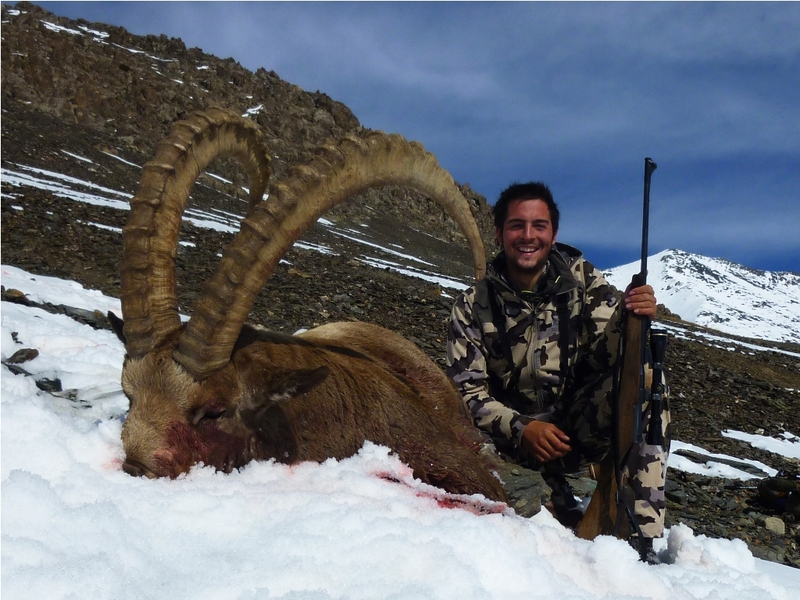 Pedro Ampuero from Spain hunts some of the most remote and demanding places on earth. 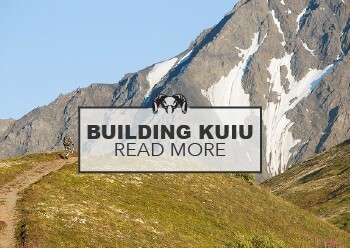 We have been exchanging emails since launching the KUIU blog on ideas about gear. 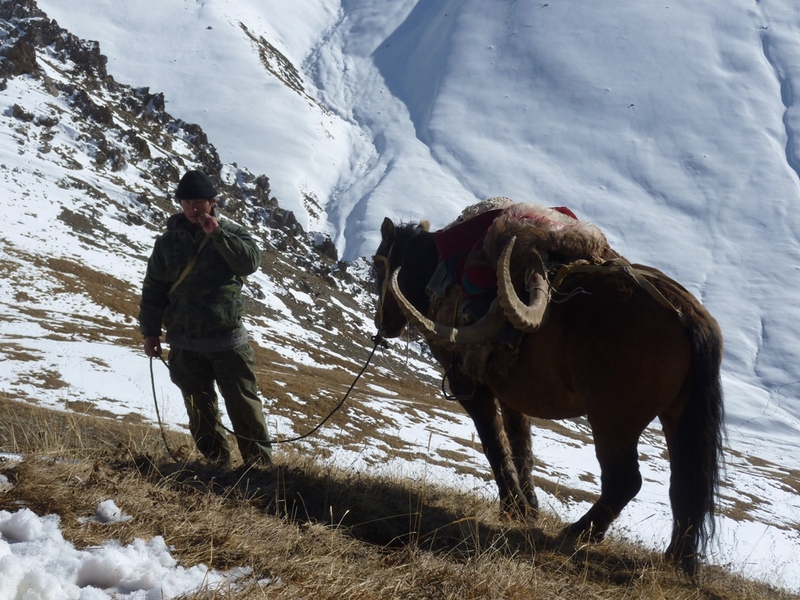 He told me about his trip this November to hunt Tian Shan Ibex in the Tian Shan Mountain is Kyrgyzstan. 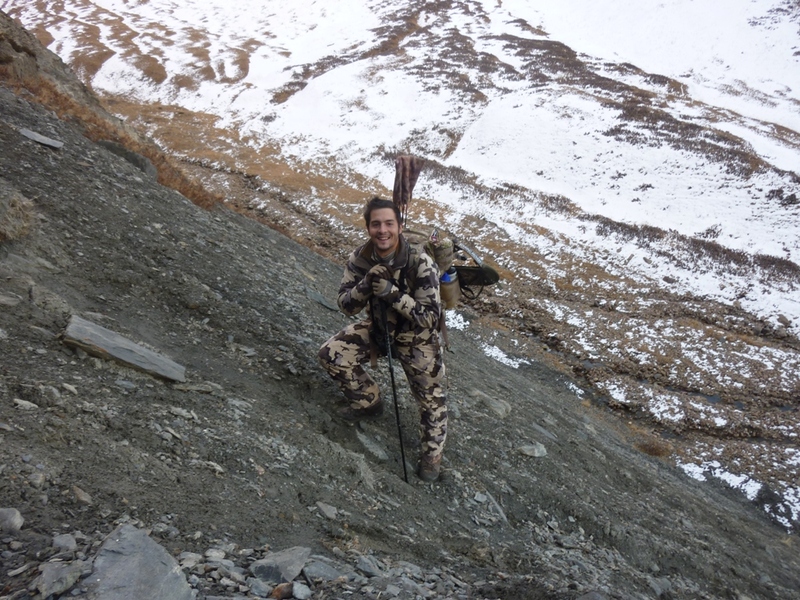 KUIU is created for this exact type of demanding mountain hunting and Pedro was willing to test the prototype gear on his hunt. 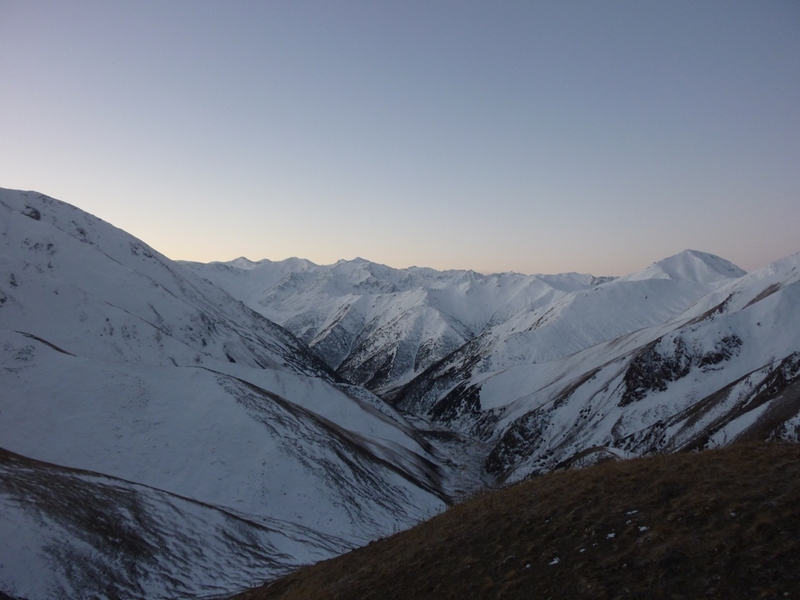 As you will see in his enclosed photo essay he put the gear through a wide range of conditions and very big mountains. I know you will enjoy his adventure with his father, it’s an amazing hunt in an amazing place. 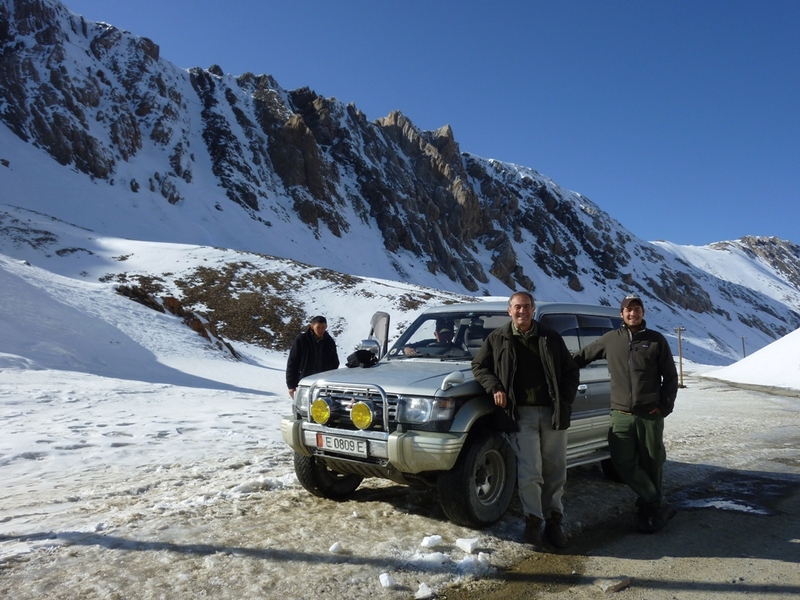 We will be hunting close to the Mythical Naryn River, that makes it’s path through the Majestic Tian Shan Mountains located in the South Eastern part of Kyrgyzstan. 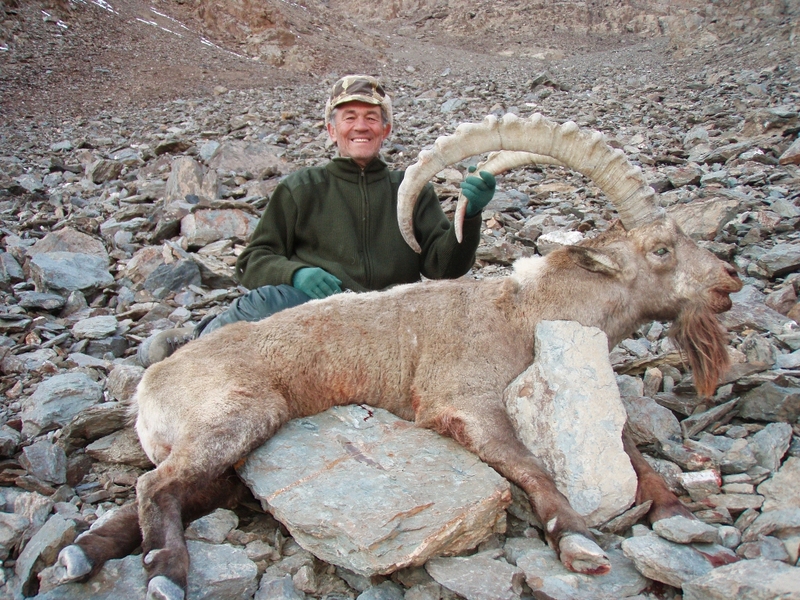 Our main objective is the largest Ibex on earth, the Tian Shan Ibex. With me, the best partner you can have, my father. 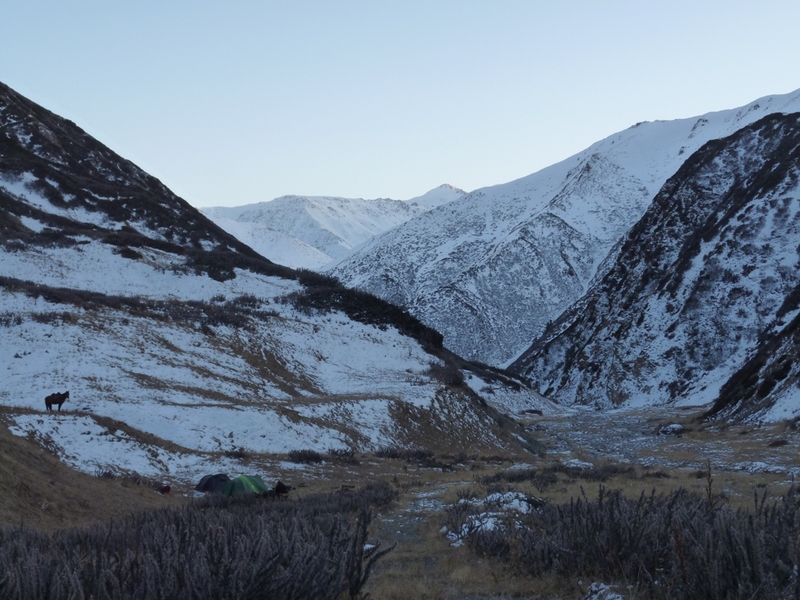 A ten hour drive from the Kyrgyzstan capital, Bishkek, lead us to our main hunting camp, Ulan, where we would spend the next 7 days hunting hard. 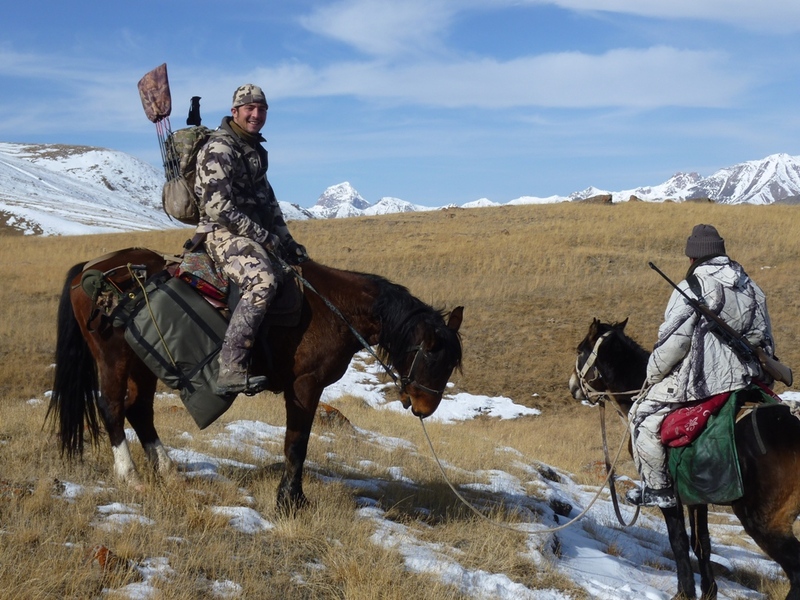 We hunted from fliying camps, at four or five hours on horse from the base camp. As usually depending a lot if Ibex were located. Glassing the first group of big males Ibex. 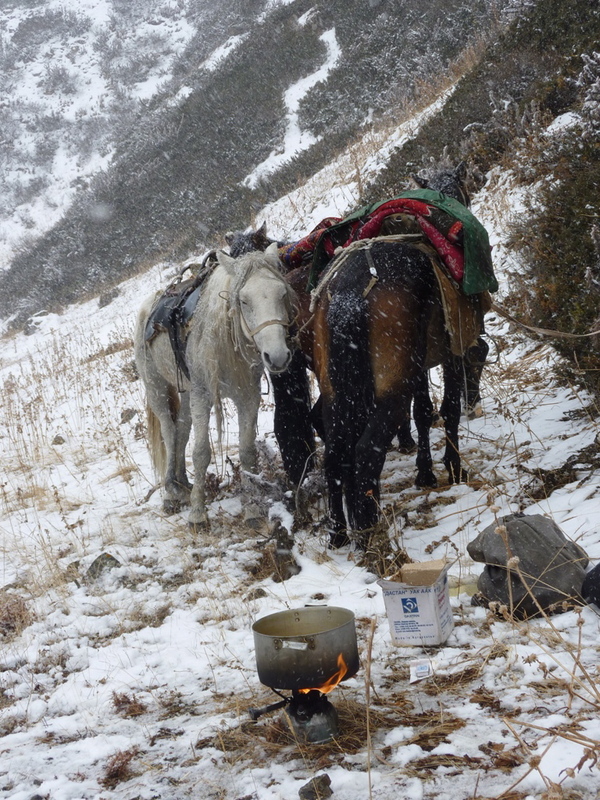 Having Lunch with Erbow, Danier & Talay, getting calories for climbing up, horses stay here. Worth all the trip just for being here. 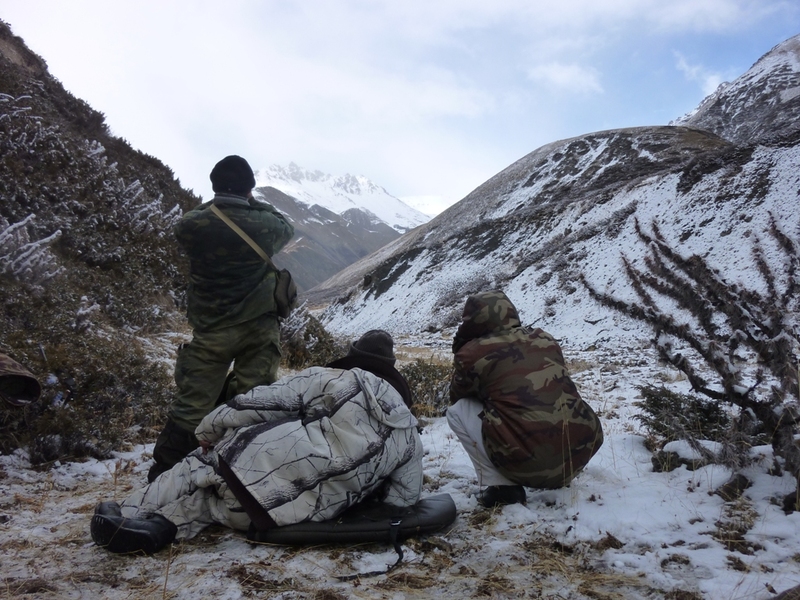 Fliying Camp was around 3500 meters, and hunting was done between 3500 meters and 4500 meters. Beautiful group of Ibexs at 250 meters. Attempted a nice stalk with the bow, but they were never be there by the time we arrived to our destination. The lunch menu usually consisted in a can of sardines for the three. Then a nice nap, being careful of not falling “down” a sleep. 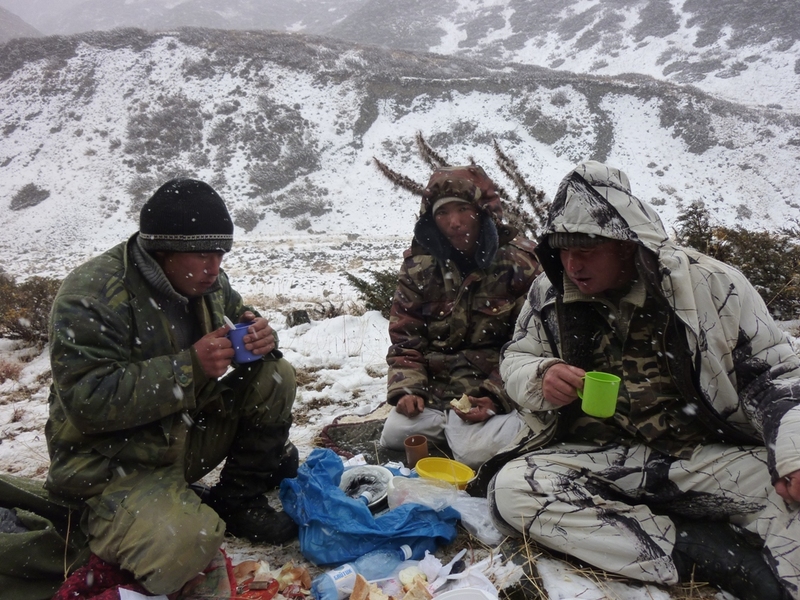 Morning Tea is crucial for warming up, since temperatures reach at Night- 20 degrees Celsius. With time you can reach any place. Finally I got into shooting range of a beautiful Ibex. My faithfull 7mm was there. With the help of the horses we took the animal out of those mountains. Prepared for crossing a river. KUIU Raingear to the test! Naryn River Cross. What we end up doing for hunting! 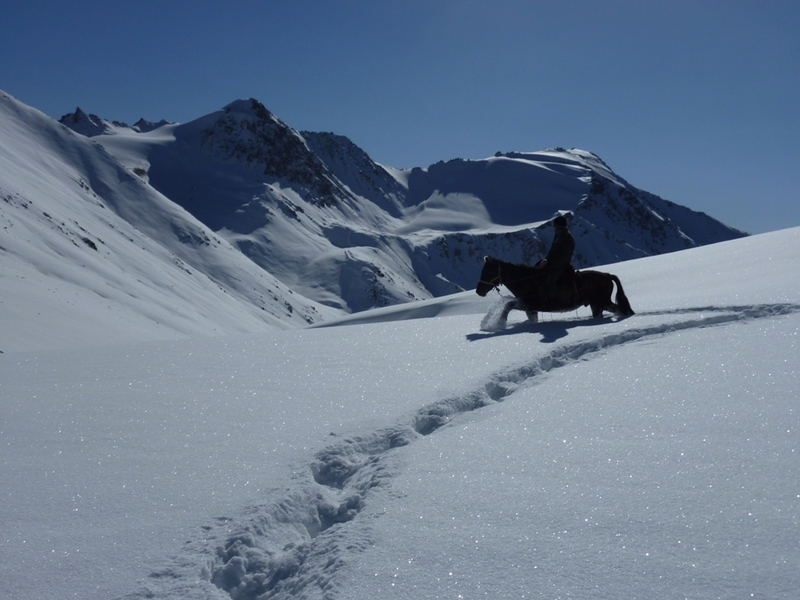 Horses where really good, Although, a lot of falls caused by holes between rocks under the snow. High Country Hunting is a strategy game, where patience and glassing really pay off. Hard Mountains, and overshooted animals, not the best combination for the bow and arrow. 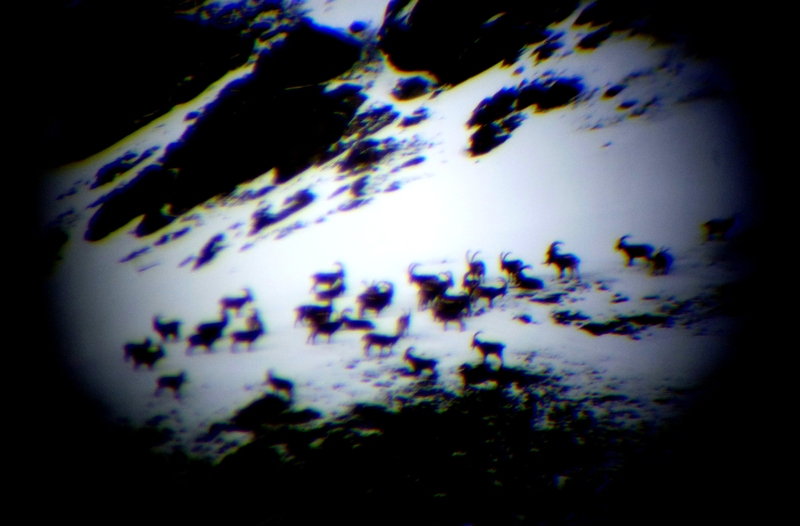 Looking at a group of Ibex, after realizing that it was impossible to climb at their same speed. Dad shot a magnificent Ibex also! Great hunt pics Pedro, congrats on a beautiful critter! Pedro, that is incredible!! Congrats on a great hunt! That looked pretty tough! Great photos and an awesome adventure. 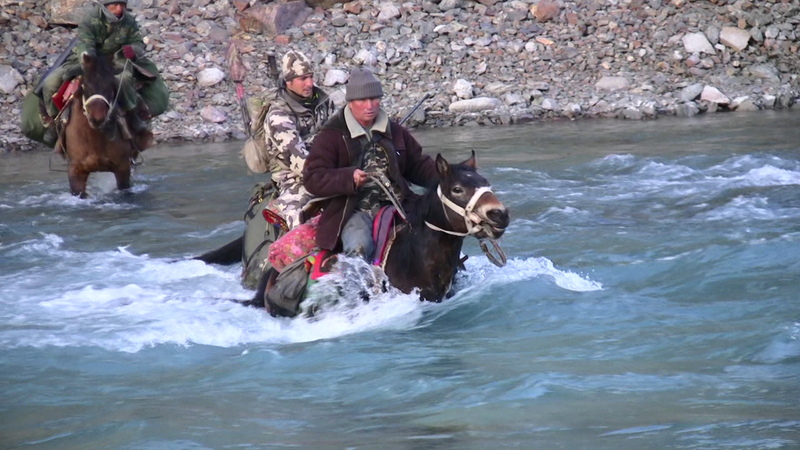 That river crossing with the horses is insane and takes lots of guts!! Those horse had to be good, real good, to pull that off! You’re right the things we do to hunt! Thanks Tony! The first time we crossed the river I told the guides I didnt like the color of the water, and that I thought it was maybe to deep. As always they said, No problem! I was second just in case. End the first time completly wet, and spend the hole day with water on the boots. Freezing! Second time I got prepared! Just remark how well the gear performed, I think I have end searching for gear in a long time! Congratulations to all the Kuiu team for an excellent job! By the way, hope you can see how well the camo works in rocky terrain. I have tested also in other enviroments, and the results are incredible. Really breaks your body lines. WOW, Beautiful country. This brings new meaning to no guts no glory! Great Ibex as well! Father Son Team to top it off. 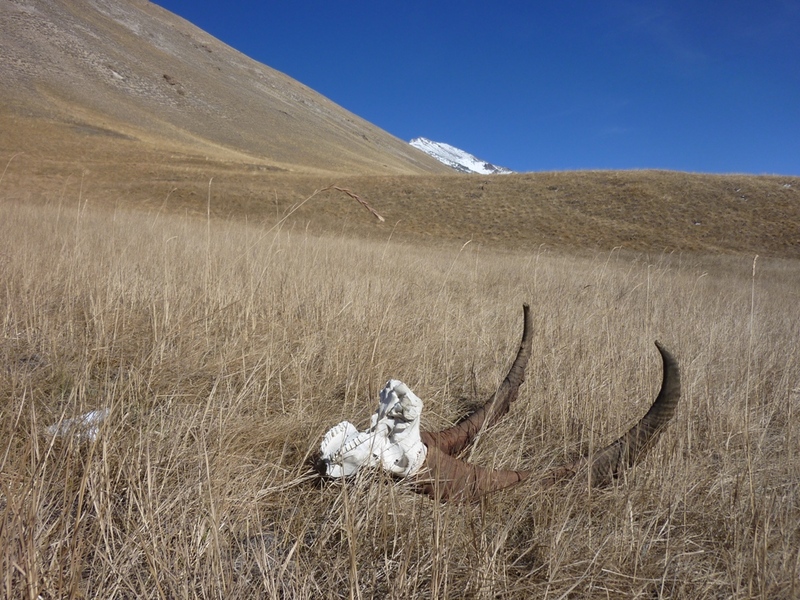 Looks Like another Testament to KUIU. Thanks for a great Success story. Very AWESOME story and hunt. Thanks for sharing. I’d say he really put the test on the gear too. Hi Pedro. very good and succesfull hunting trip to Kirguistan. nice country , nice trophies and the best two hunters ever, father and son, next time you will have the oportunity for your revenge with the bow. Alfonso!!!! Hope to see you this christmas! Thanks! Incredible real estate. Great hunt. Congratulations on hanging in there to achieve your goal! 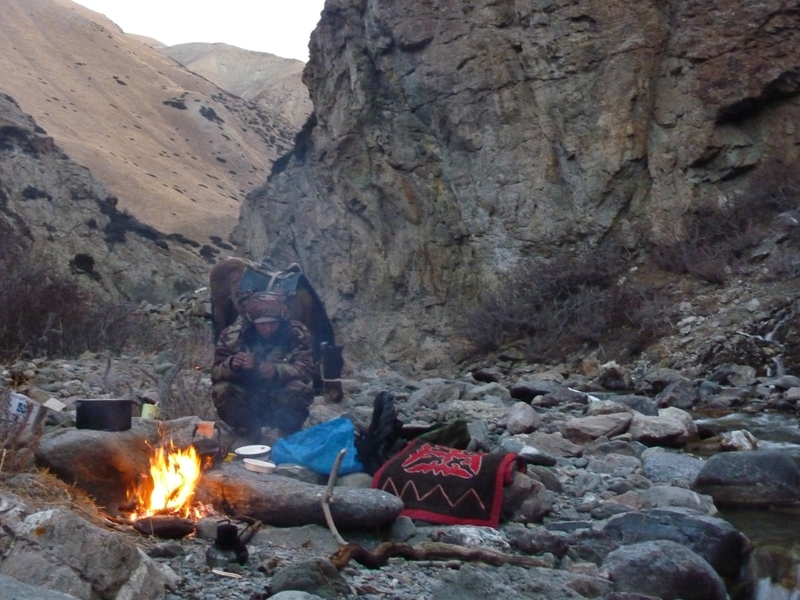 Would really like to hear more specifics about the Kuiu system and the way it performed in the wet/cold. 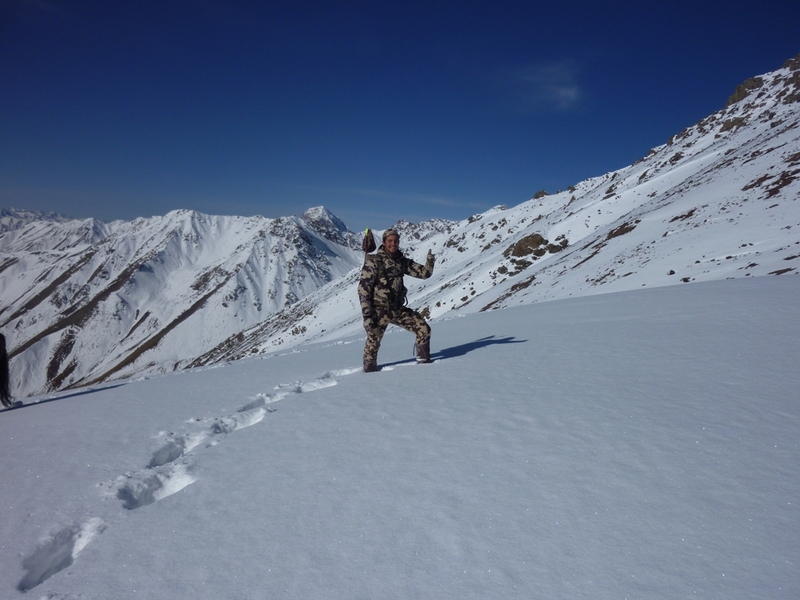 I was wearing a full Kuiu skin to shell system. Only missing the insulation. The merino layers are awesome, never felt wet while climbing, although temperatures where not high at all. But comfortable and warm. Usually started in the mornings with everything I have on, until we left the horses, where I just took the feathers insulation out. During the day I used a lot the raingear for the snow. Not got wet at all, and very resistant, since no abrassion appeared while crawling between rocks for a hole week. Very light and packable, easy to put on, and covers you completely. Those hoods are simply awesome!. Didnt froze, something that happened to me before with others. Dryes instantly, even on the wet tent. Arm bottom openings are great for climbing,and pocket access to the pants too. Shell layer its really really comfortable, like the fit and performance on rough terrain. Really used all the time the boonie. Its fit is perfect, and gets your ears tight, which makes you keep a lot of heat. The hood was a perfect partner also for this purpose. Dont know what to say, since you have to see it with your own eyes. I am really happy, and that is a honest opinion. They made a great job for sure, and this where the prototypes. I know that they have done a good research and testing, so can wait to see the final result! Thanks and good luck this season!. That country looked crazy ignorant. That creek crossing and driving those horses through the snow. 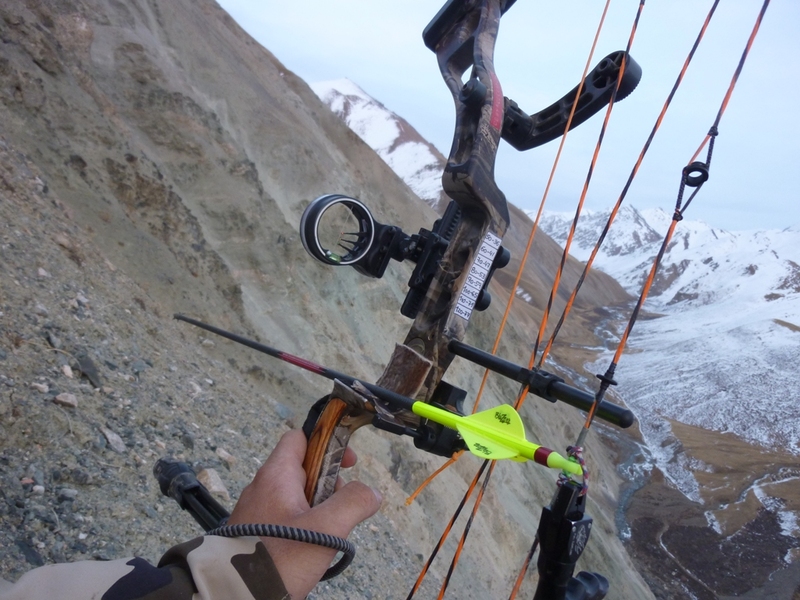 There might be some animals you just can’t kill with a bow, despite all the best gear and your hardest efforts you might have been on a trip like that. Do you think they would be more approachable in a different season? Congratulations on a great trophy, wonderful hunt. Thanks for sharing the photos and the story. I think that it can be done, but in the hunt a lot of things happened. 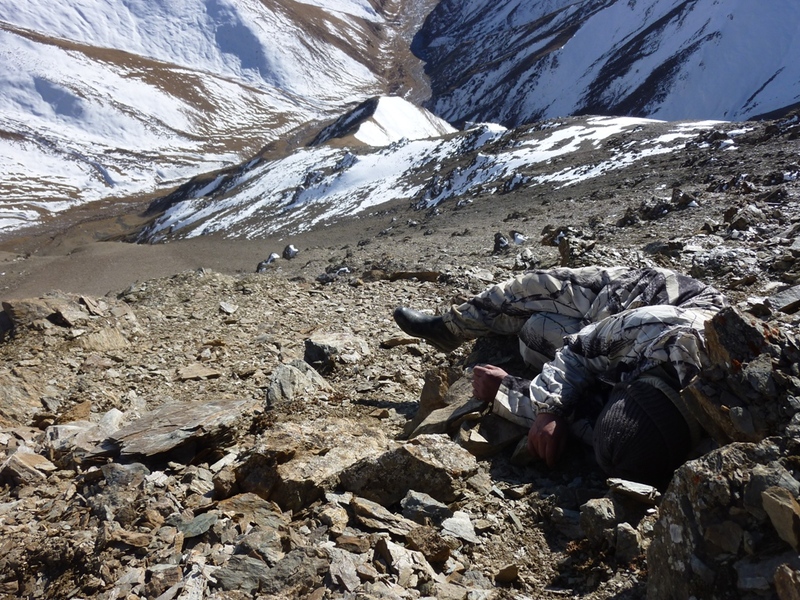 The terrain is pretty tough, although I suppose that it is the same in all the high country hunts. You just need to be in really good shape, and get above animals. 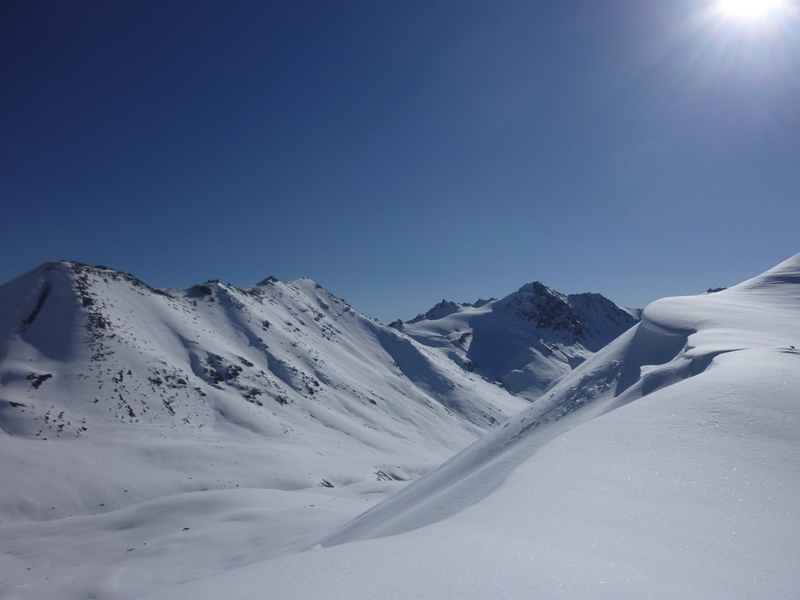 Although, the snow was a limiting factor, since in a lot of places it was imposible to continue, and a few times after a good walk we had to decide to go back. 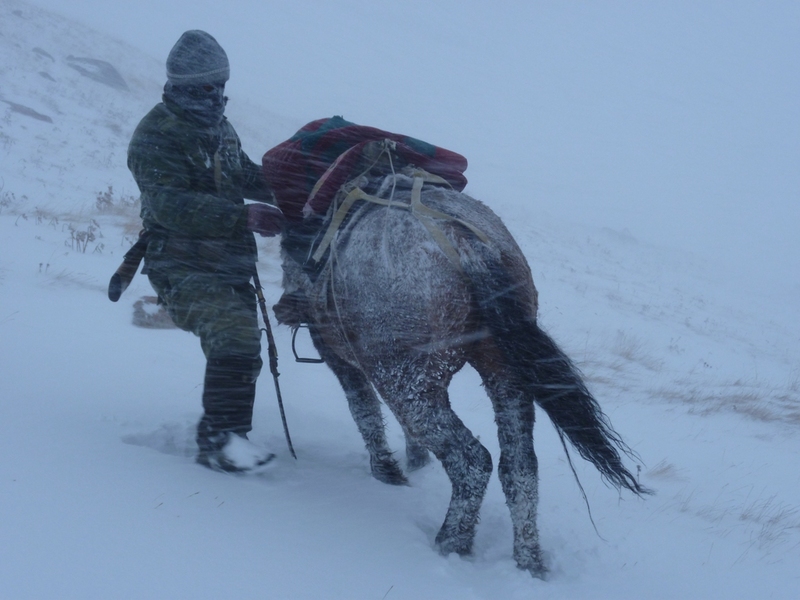 Also, going through that amount of snow with the horses is hard. Everyday there was more than one fall, since horses step on holes between rocks, making them to fall down. As well as a lot of ice since it was very cold at nights. 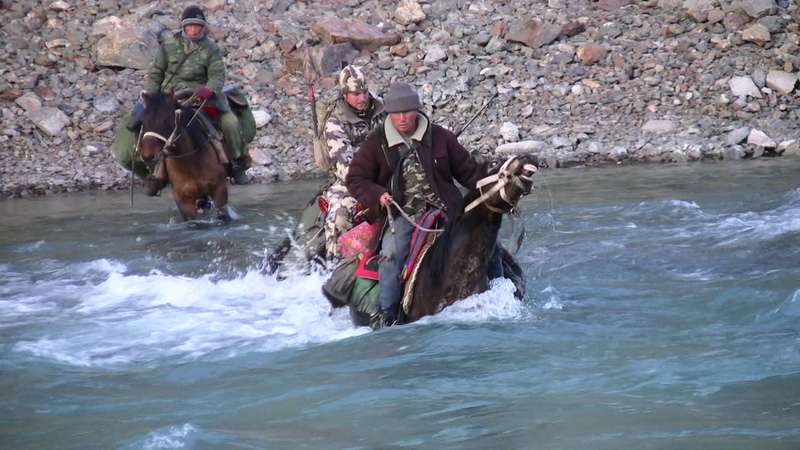 I got hurt on the knee on one fall, and one guide had to stop hunting, since the horse fell on top of him. On the other hand, this time of year ibex are easier to spot, since they get together and concentrate on the grass parts without snow. Don really know if that is an advantage for the bow, since there are a lots of eyes looking. 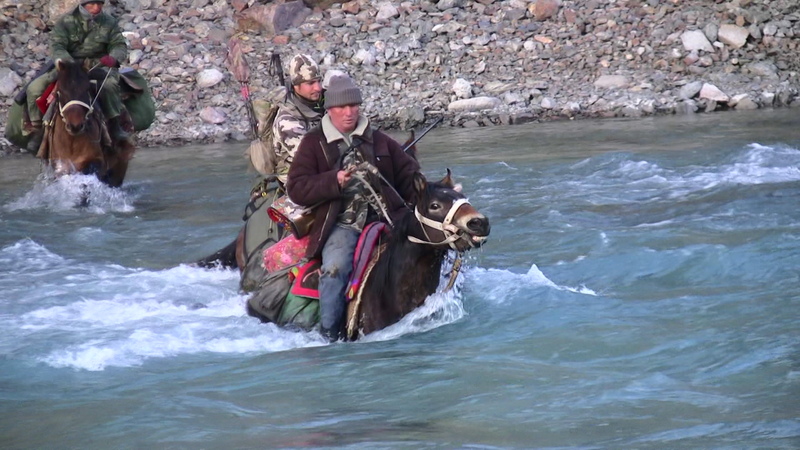 We saw one group of 150 animals, but in it only two or three shooters for the bow, none for the rifle. Imposible to get close with so many people! The main problem I found for triying it with the bow was the animals where really scared. 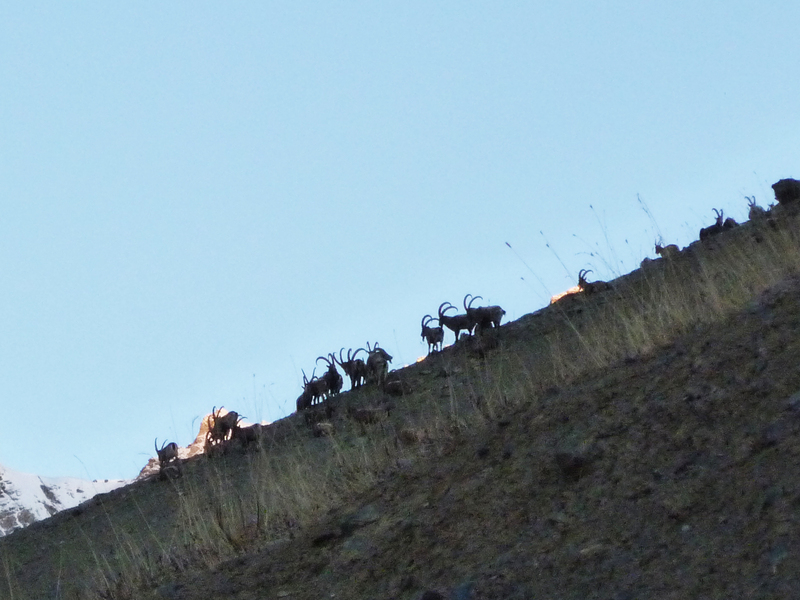 Ibex started running like crazy from miles away..Poaching in that area is something I have never seen anywhere else. And the main poachers where our guides! But that worths a hole article to explain, you will maybe see it in the Hunting Report, its hard to believe what we saw. Also, guides actitude was bad. Did no wanted to follow my rythm, didnt want to hunt with the bow, and did want to hear opinions. Also, language is a real problem, since they just speak russian and Kyrgyz. Its another world, but when you go there, you must be prepared to find this type of stuff. It was a great experience, and after getting one with the rifle, I really enjoyed triying it hard with the bow. Hope to get more experience for the next time. Sorry for so much writing! Have a nice day and thanks! Pedro, congratulations for that hunt. You made me re-live so many incredible sensations with your images and thrilling words. I recognized a lot of surroundings and peaks from my 2008 trip. I even think we rode the very same horse! 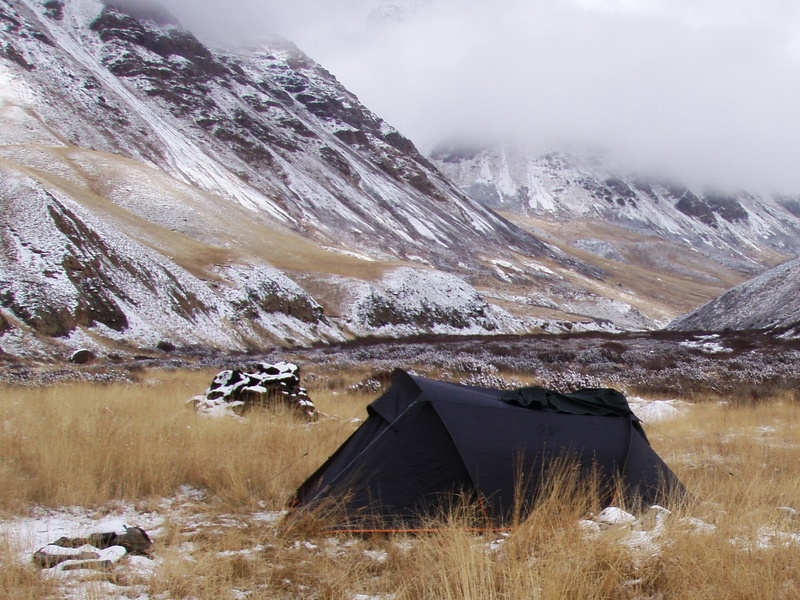 And you also suffered that summer tent, the so-called canned “food”, the negative from the guides to attempt a real stalk, the gorgeous weather… but you don’t say a word about the adventure of using the Ulan toilet! It is a must! Did you encountered Nurbek or Baket? The first one was suppossed to be the chief of that hunting area. And the second a real commited guide. 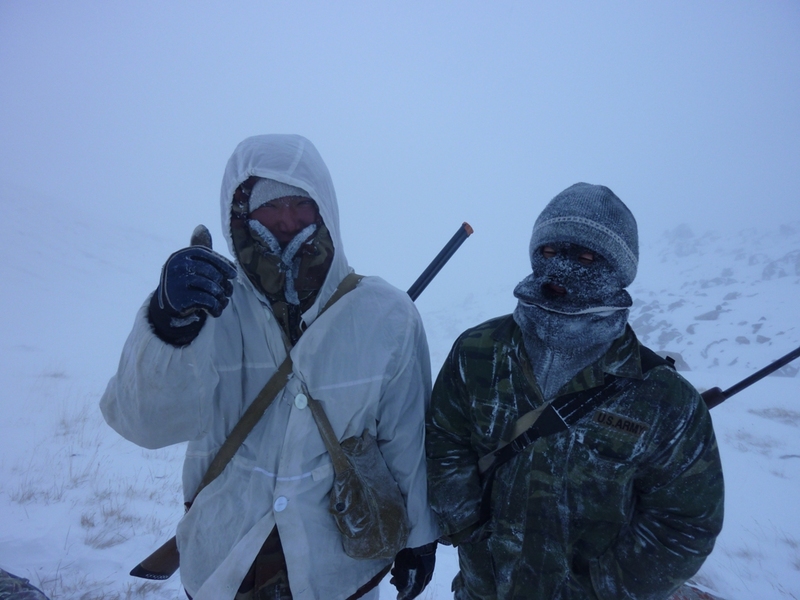 Glad to see Kuiu worked there, where so many layers are needed. 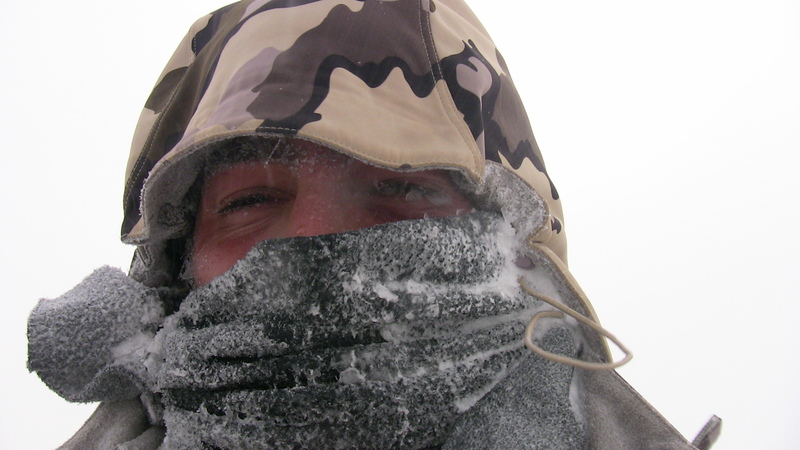 Conditions are really tough and demanding, not only physically but also mentally. One must be absolutely focused on the trip’s goal, on what you want to bring home with you, otherwise the surrender will follow in two days time. I will send you some images just in case you want to share them here. Best regards and well done!! Nice to hear from you! Seems that we hunt the same area, beautifull place for sure. Need to go back to those peaks again! That summer tent was mine!hehehe Does the job pretty well though. I hunted with another “guide”. 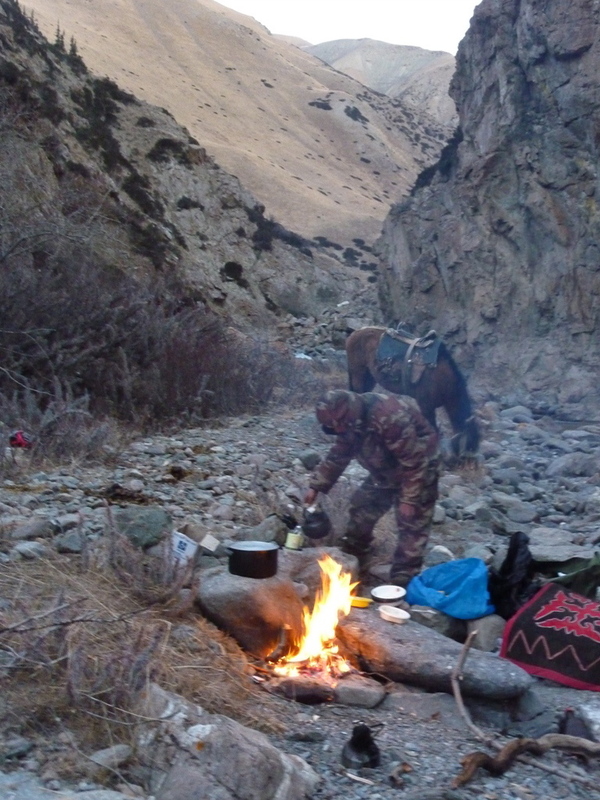 Nurbek stayed on the base camp. Thanks for sending some pics, they are nice. Amazing Hunt! Congrats! That place looks pretty tough! The pictures are astonishing! great job! Congratulations Pedro and daddy. 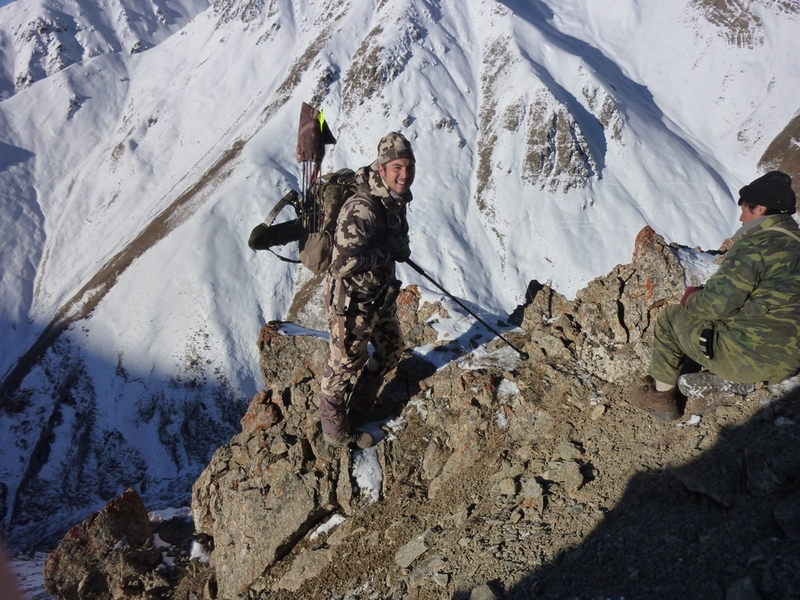 I hoppe we will enjoy together a beautifull hunt at the Tian Shan mountains in the future. This is my dream hunt as well……Way to go and the gear looks great!!!! Amazing hunt! Congratulations!!!! 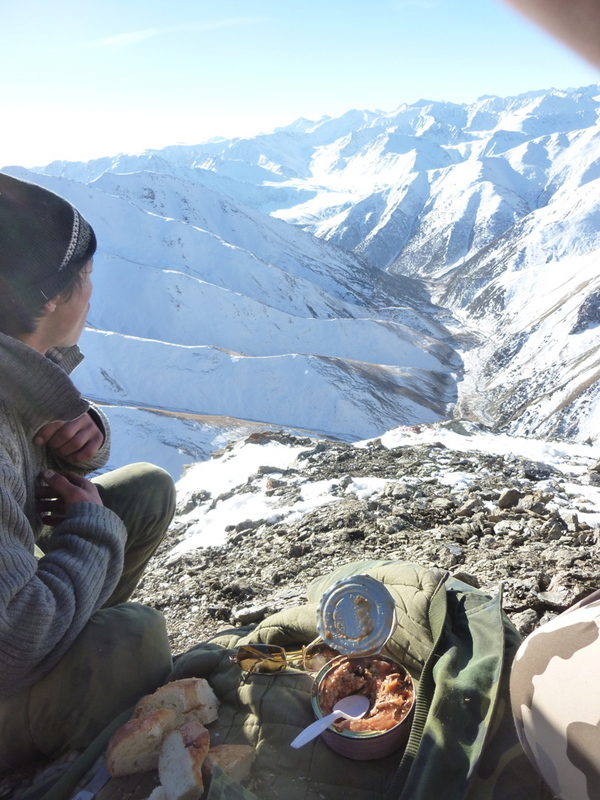 looks like a real challenge and an amazing oportunity to test KUIU gear! Thanks for sharing bro! Thanks all of you for your kind comments. Nice to hear that you like the pics! Wish you a great season to all of you. Way to go! Enjoyed the photo essay. Thanks Andrew. The frame is better looking in person! I cannot wait for you to see it. Love the BLOG. Love the gear. Love your BIO. WISH I was with you on the trip shooting you with my camera. This is the progression of my career. I am a lifestyle catalog photographer, but LOVE LOVE LOVE being in the field. I am a NOLS grad, and a former SURVIVOR contestant. This is where I am happiest. If I was married and the wife wasn’t hounding me for a kid I would have already found a way to Afghanistan as a war correspondent photographer. Anyways, check out my work and let me know where things are going with KUIU and Sitka as I would love to work with you as a photographer. I send you an email to discuss opportunities. Awesome looking country there. 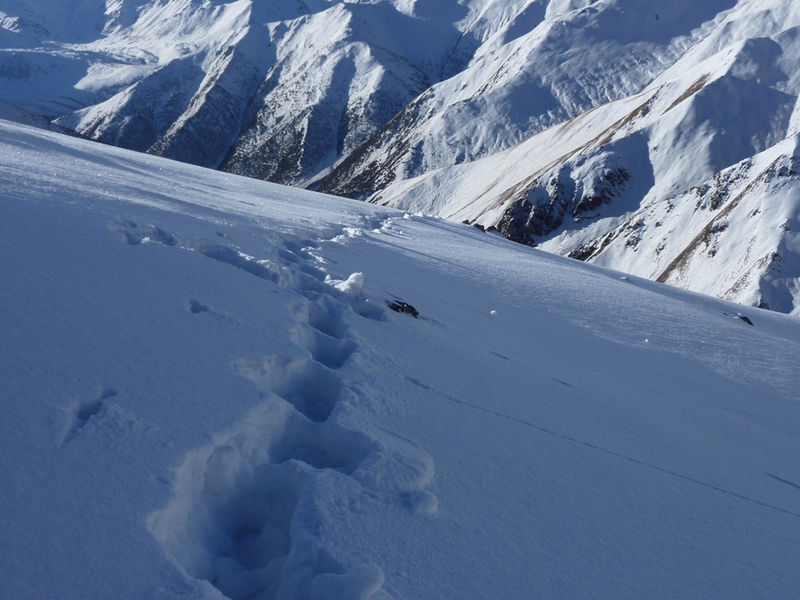 I’d have a hard time hunting and not wishing for my ski touring set up….